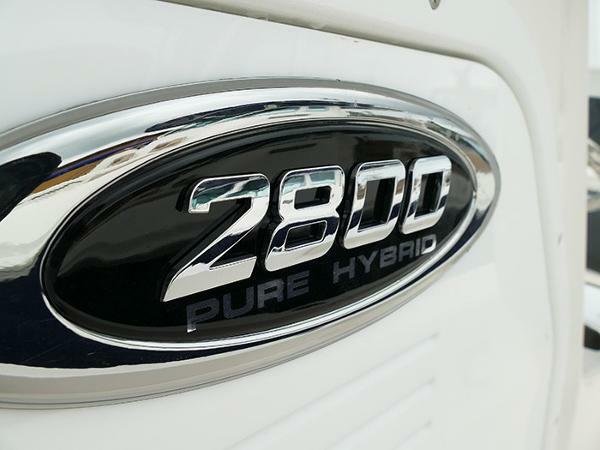 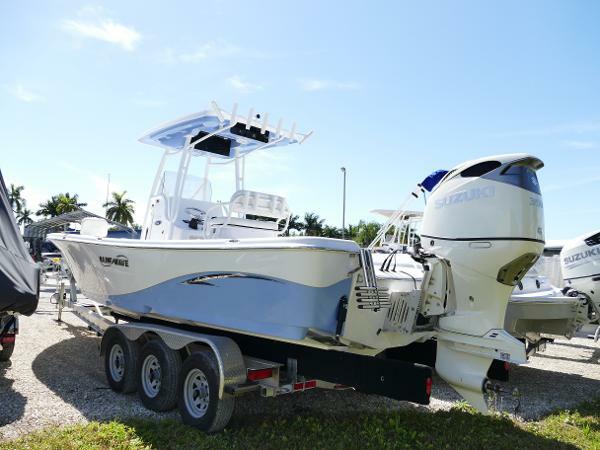 Powered With A DF350ATXW2 White Suzuki Outboard Motor. 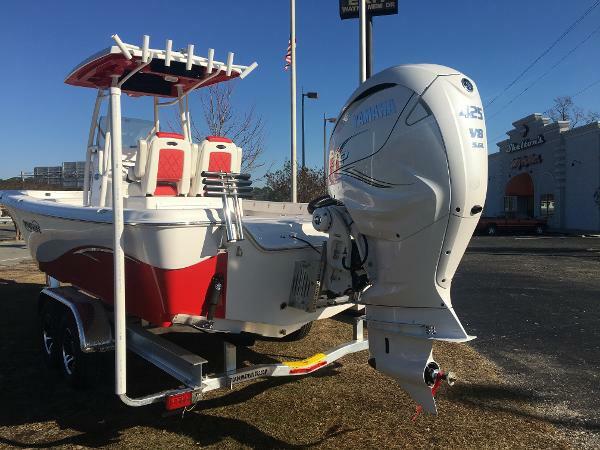 She Comes LOADED With A Kicker KMC-10 Stereo Head And Four 6″ Wet Sound Hard Top Speakers, 10″ Heavy Duty Bob’s Jackplate, Opt Port Rear Livewell, 100 Alum Leaning Post w/ Welded Backrest, White Powder Coat Package, Bow Snap Cushion & Slide In Backrest, Factory Hard Top All White With White Powder Coat, Friction Hinges On Lids, New 2 Micron Fuel/Water Separator, Pearl w/ Pearl Accent Carbon Fiber UPH Package w/ 100LP w/ Welded Backrest, Trolling Motor Panel & Wiring, LED Rubrail NAV Lights. 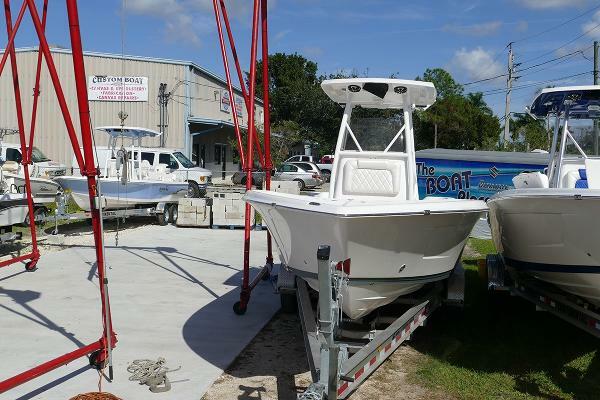 Special Price At: $95,000 NOW Includes Magic Tilt Trailer Stock #6053!!! 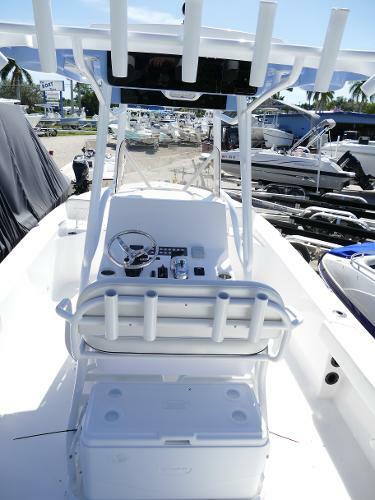 Powered With A DF350ATXW2 White Suzuki Outboard Motor. 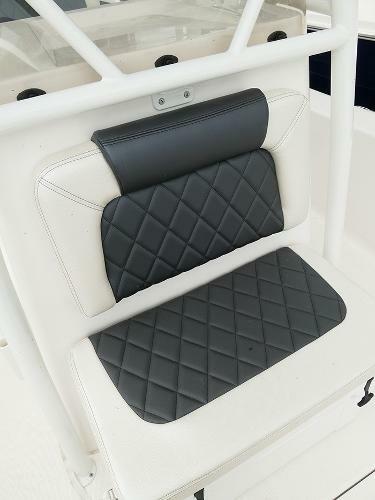 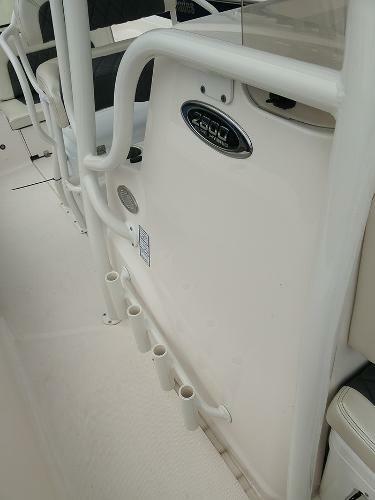 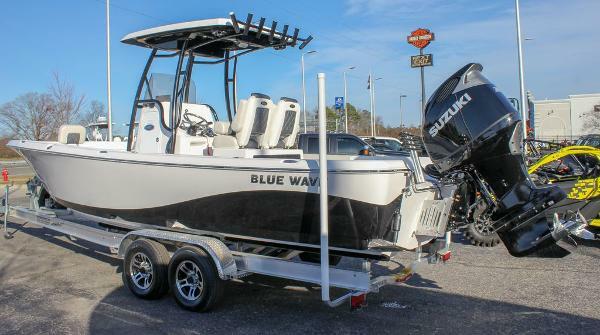 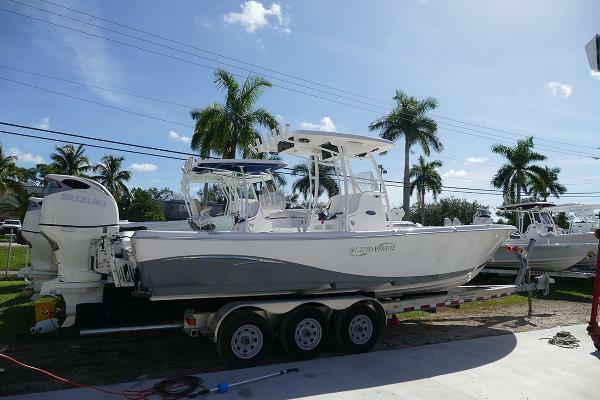 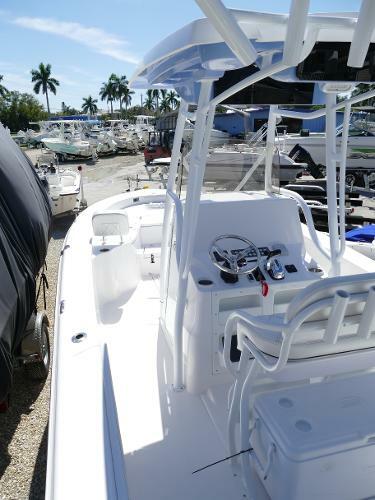 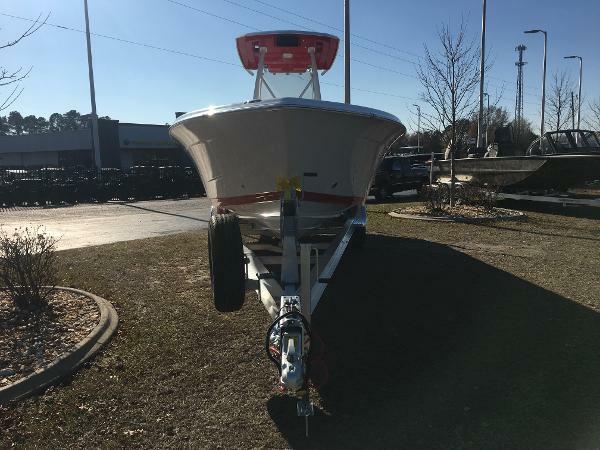 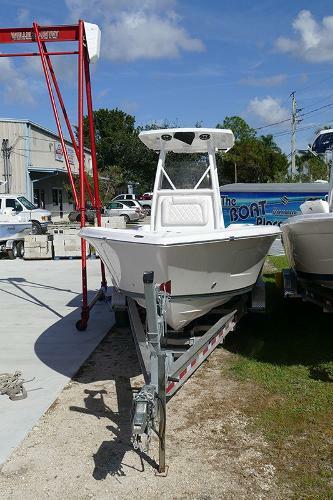 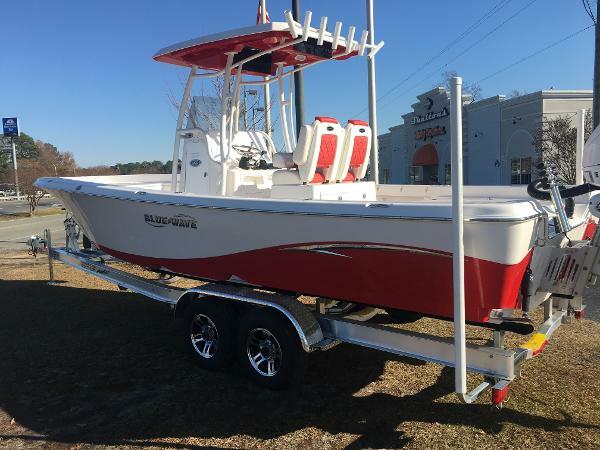 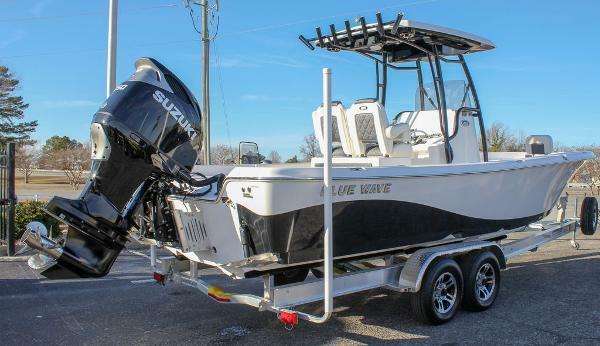 She Comes LOADED With A 75W Yeti Cooler With Pearl And Black Accent, 1600 GPH Livewell Pumps, Wet Sound Elite Hard Top Package With Four 6″ Speakers With LED And Kicker Head Unit, Hard Top With Black Underside, Optimus Electrical Power Steering, Bow Snap Cushion And Slide In Backrest, White Console, White Hull Bottom, Charcoal Lower Stripe, Battery Switch, Fuel Water Separator,Suzuki Gauge, Upgraded Carbon Fiber Push Button Switch Panel, Bob’s Heavy Duty Jack Plate, Blue LED Interior Lights, Pre Wired Trolling Motor Panel, Friction Hinges On All Lids, And Tackle Tray.